Check out the fair program! 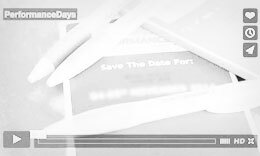 PERFORMANCE DAYS is synchronized with the industry’s deadlines – making it possible for designers, product, purchasing and material managers to perform sourcing at just the right time for the upcoming summer and winter collections in April/May and November. 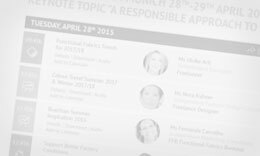 The latest trends and innovations in the functional fabric industry are on display by more than 290 top quality exhibitors from around 30 nations. It’s a perfect platform for connecting to our business partners. 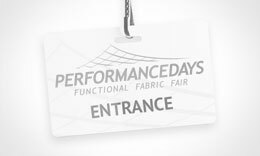 For Völkl Performance Wear, the Performance Days open up a perfect chance to trace the latest trend in functional fabrics and to connect with exhibitors and visitors in a very relaxed but concentrated atmosphere at the same time. Its really interesting for us to see how the show has been growing over the last years. It’s getting more and more international, more and more exhibitors are participating so it’s getting more relevant for our customers. So it’s really growing. It’s still an efficiency tool but it’s more and more becoming an acquisition and brand management tool.